Today the 2nd Gallagher Global Gathering & Gallagher Global Award featured on Irish national television. To view, go HERE and scroll down to Gallagher Clan. 2nd Gallagher Global Gathering Programme to be published very shortly. It is hoped to have a full itinerary ready very shortly for our 2nd Gallagher Global Gathering in September 2013. It will be a week where local communities commemorate their Gallagher heritage and in so doing, welcome both local and visiting Gallaghers to join with them in events to celebrate that heritage. Starting with Gortahork, where the Óstán Loch Áltán Hotel will be our base for the week, Gallaghers in such areas as Ardara, Arranmore Island, Gweedore and the Carrigart/Downings area will welcome all Gallaghers, those with Gallagher family connections and their friends to their areas. The locals will introduce them to their local heritage and guide them around their areas. At night events will be taking place in various venues that will showcase the best of the great Donegal tradition of music, song and dance. As in 2007 the locals will also look forward to an input from our visitors and we hope all will join in the fun. There will also be plenty of opportunity to chat and converse as should be the case with any good family get-together. We are also looking forward to a large contingent of our Mayo cousins turning up for the first playing of the Gallagher GAA World Cup. There may also be the opportunity to be involved in other activities from golf to fly fishing, depending on the demand. So, if you plan on coming, please let us know as soon as possible where your interests may lie. 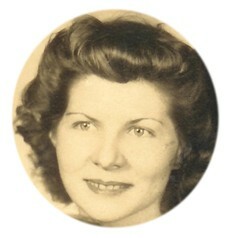 "Gallagher Ancestors - A Pictorial Narrative" launched to the web. This is to be a pictorial narrative of the Gallagher story. Because we often can't trace our individual family trees back much further than 1800-1864 in Ireland and because certain family resemblances can be retained over generations it has been suggested that we post photographs of our early ancestors to see if shared characteristics /"looks" appear. This was brought home to us lately at a re-running of some of the clips from our 2007 Gathering when a new Zealamd gentleman declared "Look at this man here, I don't know him and I've never met him before in my life but he is the image of my grandfather back home in New Zealand". While there imay be nothing definite arising from this procedure for some people, it may lead people to try new avenues/ directions for their research. 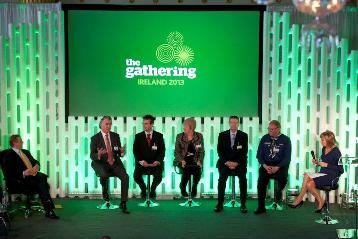 The Irish Government launched their tourism initiative, The Gathering Ireland 2013, in Dublin Castle today. It is a year-long celebration of everything that is unique about Ireland and its people The Gathering was launched by An Taoiseach Enda Kenny T.D. in the company of An Tanaiste, Minister Varadkar, and Minister of State Ring. At hand to help was The King of the Gallagher's, Adrian Gallagher, who was one of five guest panellists at the launch who told of their own or their organisation's events for The Gathering 2013. Mary Kennedy of RTE was the MC for the event. Gallagher told of the Gallagher Clan's 2nd Gallagher Global Gathering which takes place from the 6th - 14th September 2013 in Gortahork, Co. Donegal, Ireland. He also told of all that Donegal has to offer and the Clan's efforts to promote the event abroad, such as the recent launch in Sydney, Australia. A Gallagher Evening Announced for Letterkenny on 9th March 2012. Those of you with an interest in rugby and with a bit of money rolling around in your pockets might be interested in a bronze statue of Dave Gallaher being offered for sale by the Dave Gallaher Society (with whom we have no connection except as regards to having a mutual interst in the Dave Gallaher story). A sales leaflet produced by the Society has been added for your perusal to the Dave Gallagher page HERE. The story of Maria Gallaher and her children (who included David Gallaher, the captain of the 1905 All Blacks) is told fully for the first time by her great-granddaughter Kay Carter. It is a remarkable account of a family who emigrated from Ramelton, County Donegal, Ireland to the pioneer settlement of Katikati in the Bay of Plenty, New Zealand. They faced hardship and near-destitution as her elderly and ill husband failed to succeed as a farmer settler, and schoolteacher Maria became the sole breadwinner of the family. Her early death at 42, after bearing 14 children, threw the family on to its only resource — the determination of the older children as young adults to look after their ailing father and the younger siblings. The family eventually spread across New Zealand and Australia, encouraged by the opportunities of the gold fields of both countries. 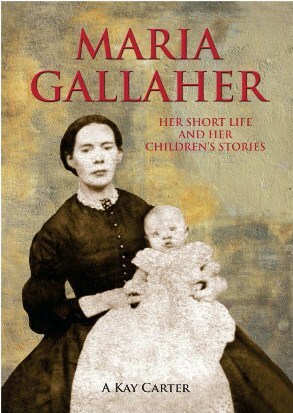 ‘Maria Gallaher, her Story and her Children’s Stories’, costs €25 plus postage and packaging and is available from The Dave Gallaher Society by emailing davegallahersociety@gmail.com. The Annual General Meeting 2011 took place on Saturday 16th April in the Mansion House, Dublin. Clans of Ireland is very grateful to the Lord Mayor of Dublin, Cllr. Gerry Byrne, for inviting us to hold the AGM at his official residence. We were also delighted that the Lord Mayor was represented at the AGM by Cllr. Paddy McCartan. Delegates at the AGM represented over 60 clans based in Ireland, USA, Canada, UK, Australia and France. The Gallagher Clan was represented by our taoiseach, Adrian Gallagher. The Oak Room in the Mansion House provided an appropriate venue for the Parade of Clans as the walls of the room are decorated with the coats of arms of all Lord Mayor's of Dublin since 1841. The Parade of Clans was received by Clans of Ireland Cathoirleach Ms. Norah Keohane Hickey who was accompanied on the review stand by O Morchoe of Oularteleigh, Chief of the Name, Cllr. Paddy McCartan representing the Lord Mayor of Dublin and Ambassador Hearn of Canada. After each clan had presented itself the Master of Ceremonies Micheal Kilcrann of Kilcrann declared in the assembly to be gathered and invited Ambassador Hearn of Canada to address the representatives of the Irish Clans and Families. In his address Ambassador Hearn highlighted the contribution of the Irish Diaspora to Canada, the USA and elsewhere and pointed out that this was a two way relationship that should be used to the benefit of Ireland during these difficult economic times. Adrian Gallagher was delighted to see that a Gallagher has held the position of Lord Mayor of Dublin, He was James Mitchell Gallagher, who held the office from 1915 to 1917 and his coat of arms hangs on the walls of the Mansion House along with those of the others who held the office.We would like to hear more about this man and would especially like to make contact with any of his descendants, if there be any. An Taoiseach Enda Kenny T.D. It has been brought to my attention that we have another knight among the Gallaghers (see also 24/1/11 below). In November 2010 John Gallagher CNZM K.St.J., J.P., Hon. D. was promoted to Knight of Grace by the Order of St. John. On behalf of the global Gallagher Clan I would like to wish best wishes to all our fellow Gallaghers in New Zealand and hope that they and theirs have survived unscathed from the terible earthquake which hit Christchurch. Our thoughts are with you all. We can start off 2011 with a great story for the Gallaghers with Sir William (Bill) Gallagher being honoured by being made a Knight Companion of the New Zealand Order of Merit in the New Year's Honours List. It was with great regret that I heard this evening of the death of Marianna O'Gallagher, the noted historian from Quebec City, Canada, who died on he 23rd May 2010. Though this may be the age of the internet it was only via a chance meeting locally earlier this evening that I became aware of her passing. She had honoured our Gallagher Global Gathering in 2007 with her presence and all who joined us for that week will remember her for kindness and also for her knowledge of things Irish, especially of the Irish emigration to Canada. My last correspondence with her concerned her appointment as Grand Marshall when Quebec City resurrected its St. Patrick's Day parade earlier this year. She took great pride in the fact that she would be placing the O'Gallagher name in high prominence by her position in this event. She later sent me a copy of the local newspaper celebrating the parade and telling me of her great enjoyment of the day. GOLLEHER: A name found in the southern states of the USA. It originated with immigrants who came through Louisana as ranchers and farm workers. We would like to hear from holders of this name and that of other variants as we want to build up a profile of the various variants - the name origin (when & how) and the spread of it in the past and today. Strictly speaking variants are those surnames, no matter what the spelling, that were used over a period and were not single instances of incorrect spelling that were later corrected. .We just love lists concerning any of the Gallagher names whether it be your local electoral roll, phone book or other such source. We can be contacted at postmaster@gallagherclan.org . Origins of the Gallagher Surname and the Nickname associated with it by Seosamh Ua Gallchobhair, Teelin, Co. Donegal see here. The first non-stop, round-the-world flight in history in 1949. The Gallaghers take their place in the Guinness World Records 2009 book being launched today see HERE. May not be particularly interested in genealogy but whose results may help extended branches of their families better explore their origins. 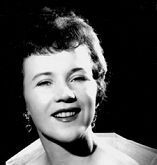 It is with great sadness that we heard of the death of Bridie Gallagher, the noted singer. In her time she was one of the best known, if not the best known, Gallaghers in the world. Among other things she holds the record of the biggest audience in the Albert Hall in London. This is a record which will not be broken as that venue has now been transformed to an all-seater one.